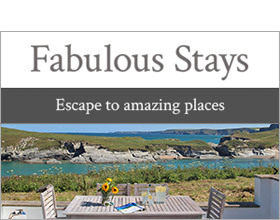 Scenic views sighting the sea on Cornwall's Riviera coastline can be admired from this beautiful converted barn. Nestled slightly inland amidst peaceful countryside on a working farm in the hamlet of Trethurgy, Leghorn combines excellent accommodation standards with a tranquil setting for a relaxing break yet is a short drive to the long sandy beaches at Pentewen, Porthpean and Par (dog-friendly) and some of the county's major tourist attractions. Well placed for a varied holiday experience, the renowned Eden Project is within walking distance; Charlestown, famous for its collection of tall ships, is a 15 minute drive whilst the exclusive waterfront town of Fowey; the cathedral city of Truro and the charming fishing village of Mevagissey are a 30 minute drive. Fun filled days on the coast can end with a soak in the hot tub, a barbecue on the sheltered deck patio or beside the warm glow of the stylish wood burner during the cooler months. The interior has immense rustic appeal with a contemporary kitchen and two luxurious en-suite bathrooms adding a touch of glamour. A pet sitting service is available by prior arrangement with the owners who live in the neighbouring farmhouse and dog towels and bowls are provided. Pet owners, walkers and cyclists can embark on the scenic foot and cycle paths of the Clay Trails and children will love to meet the resident Leghorn and Black Rock chickens, ducks, geese and pigs. It is ideal for larger groups when booked with the attached residence, Black Rock , which can accommodate four guests. Within walking distance is the Knightor Winery & Restaurant which welcomes families and St Austell offers excellent wet weather alternatives including a cinema, ten pin bowling and indoor children's adventure centre. Two bedrooms: Ground floor 1 x double with TV, En-suite shower room, shower, basin and WC, 1 x first floor twin with TV, en-suite bathroom, bath, shower over, basin and WC. Open plan living area with kitchen and sitting area.